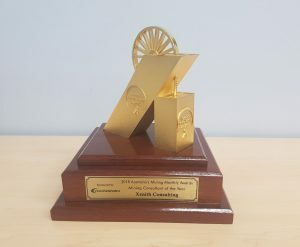 In February, Xenith was named the 2018 Australia’s Mining Monthly Mining Consultant of the Year. This was thanks to the substantial efforts of our Hunter Valley Manager, David Lennard. The judging panel cited that it was David’s commitment to not only work as a consultant but to provide training and mentoring to clients and colleagues that stood out. 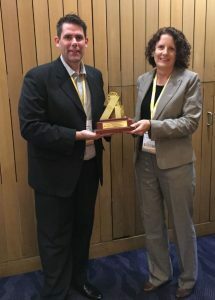 On 15 May, Rebecca Jackson, Principal Geologist (Singleton Office) was presented with this award at the Future of Mining conference in Sydney by Nathan Wayne, Sales Director – Aspermont Media.